IBS Electronics was established in 1980 in Southern California. IBS Electronics is an ISO 9001: 2015certified authorized franchise distributor and a global leader in the delivery of innovative electronic components and logistic solutions. Our customers leverage our logistics, supply chain solutions, managed inventory, and value-add services. Our electronic and electromechanical component manufacturing services are carried out by our experienced staff who work closely with each client on data sharing, specifications, and delivery. 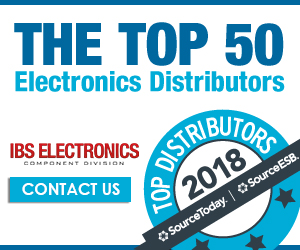 IBS Electronics is an ISO 9001: 2015 certified authorized franchise distributor and a global leader in the delivery of innovative electronic components and logistic solutions. As a Franchise Distributor, our customers seamlessly gain access to the best prices and shortest lead times from industry-leading Manufactures with ONE IBS. Maximize Efficiency with ONE IBS VMI Solutions. IBS Electronics Inventory Management Solutions provide access to the most advanced logistic solutions while freeing up on-site space and reducing costs associated with Inventory Management and Supply Chain Management. IBS Electronics is globally recognized for delivering exceptional Engineering Support. Our Field Application Engineers are dedicated to providing the most advanced solutions aligning your needs with ONE IBS Solutions while perfecting form, fit, and function.